Heritage Festivities 2018 – History. Heritage. Hilarity. November was pretty bleak, but now praise the goddess it’s December and Christmas is here to save us. Now I’m an atheist but I love Christmas and I like to think I celebrate Yule in the good old-fashioned pagan way. So many of our modern traditions are rooted in pre-Christian pagan traditions, including putting up a tree; drinking too much, eating too much, and spending time with the people you love. It’s a final hurrah to see out the year before we coorie in for the rest of the Scottish winter. So, with that in mind, here are some festivities you can take part in this month, all with a history theme of course. I can’t think of a better way to kick off the festive season than listening to folk carols by Scottish medieval ensemble Canty, in the Great Hall at Stirling Castle. It’ll be like time traveling, I can’t wait! Tickets are available through the Historic Environment Scotland and the event (member discount available) and the event starts at 7:30pm. The Canty ensemble looking divine. Glasgow Film Theatre’s Christmas Season line-up has everything you could want to watch at this time of the year, from Die Hard to White Christmas and Home Alone, there’s a film to suit everyone’s tastes. 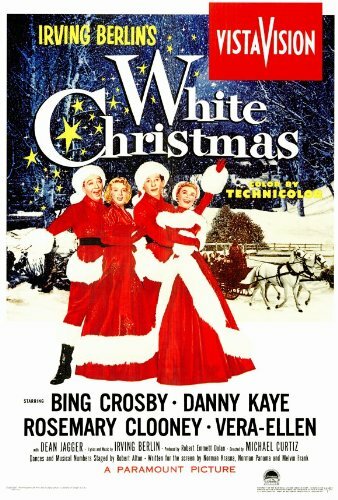 I’ll be going for White Christmas or It’s a Wonderful Life because I’m traditional like that. Also worth mentioning, the GFT has a bar so you can have a wee tipple as you enjoy your film. If you’re not based in Glasgow check out what’s on at your local independent cinema. Why not escape the capital’s crowds for a bit of peace and quiet. This free tour of the National Gallery’s permanent collection will have a Christmas theme, and runs twice on the afternoon of the 15th. You could always pop out for a festive bite to eat or drink afterwards, may as well, it’s Christmas! Duff House is a great place to visit at any time of the year, but I think country houses always look their best in winter, especially is there’s a nip in the air and some frost on the ground. Lowry’s Canal and Factories is currently on loan and this wintry industrial scene is well worth seeing in person, especially at this time of year. Canal and Factories, Laurence Stephen Lowry, National Galleries of Scotland. I’ve said it before and I’ll say it again, a big part of the festive season for me involves eating and drinking to excess. Most of this eating is done at home wearing Christmas pajamas, Christmas socks, and watching a Christmas film but sometimes you just want to go for it you know? One of the best places to do that is at the Dome in Edinburgh, I mean look at it, it’s fabulous. If you’re not near our capital, then go for a beverage and a bite in an equally architecturally fabulous building bedecked in lights. For instance, there’s Almondine in Aberdeen, a beautiful patisserie which serves up the most gorgeous festive treats. What I’m saying is, swipe on some red lipstick, pile on the sequins, and drink one for us. MERRY CHRISTMAS! Now I’m off to slather a mince pie in brandy butter. Next Post We need YOU – 2019 edition!